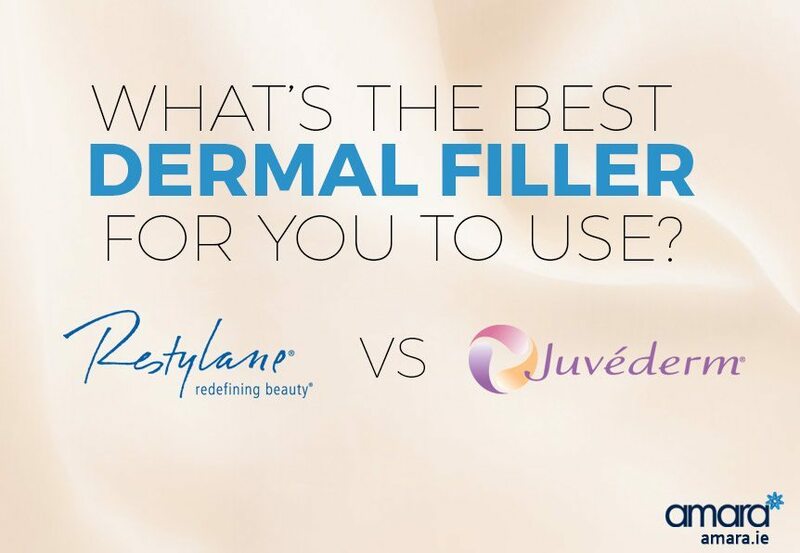 What’s The Best Dermal Filler For You To Use? The battle between Juvederm and Restylane is the Coke V Pepsi of the Aesthetics world – but which dermal filler is better? Dermal fillers have been around much longer than you think and as a result there is more choice than ever before. So which brand is the best to use? At Amara we use the Juvederm range of fillers as they are currently the most advanced on the market, however I have used Restylane in the past and in this post will give you my thoughts on both. They are both non-animal products made up of hyaluronic acid. 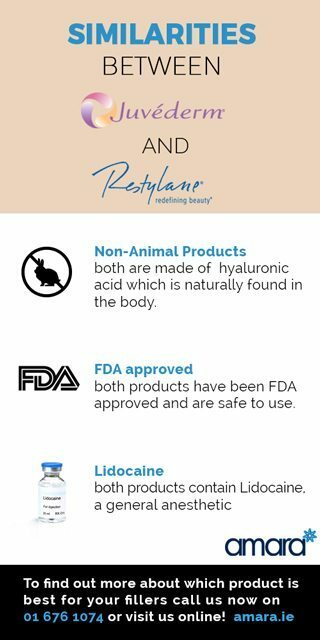 Hyaluronic acid is naturally found in the body and as a result is much more effective than previous collagen Dermal Fillers. They are both FDA approved and safe to use. However although both are similar Juvederm is newer and as a result has had many advances compared to Restylane. Juvederm tends to last longer compared to Restylane. Restylane on average lasts 6 months while Juvederm lasts for 12 – 18 months. The most noticeable difference between Juvederm and Restylane would be to do with the texture. Juvederm’s new texture is smoother while Restylane is more granular. As a result Juvederm is likely to leave less bumps when compared to Restylane although the texture makes Juvederm easier to use when filling in smaller lines. As Juvederm is the most advanced of the two and there are more options under the same brand I believe it is the better of the two. Are you considering Juvederm for Dermal Filler or Lip Filler? Why not give us a call on +353 1 676 1074 or book in for a consultation online today?